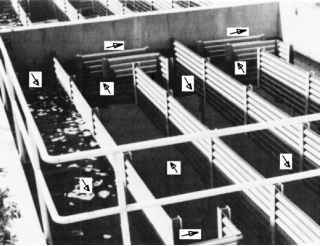 Figure 5.5. 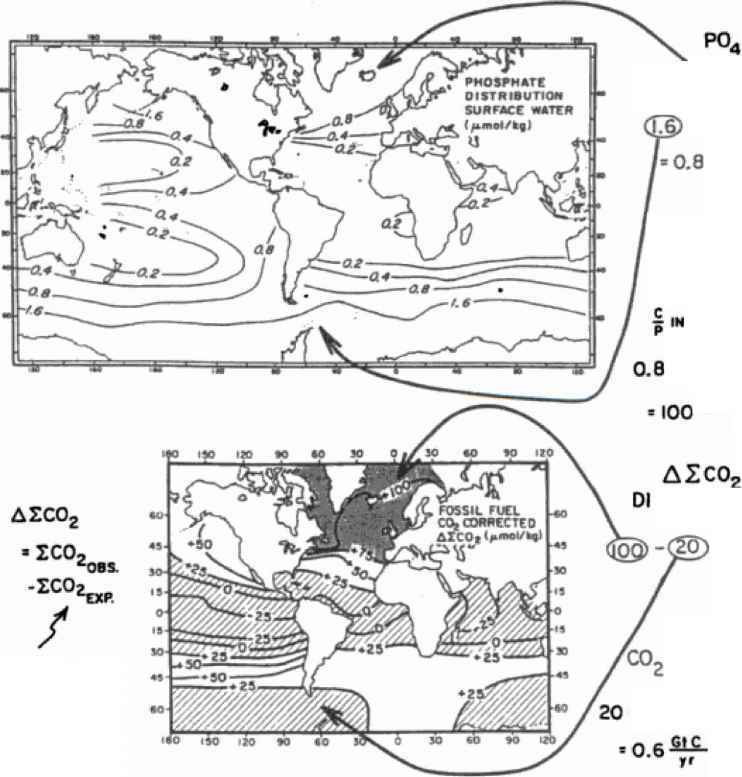 Based on measurements of salinity, EGOz, alkalinity, and phosphate, Broecker and Penp ( W92) have calculated the amount of CO2 taken up from or jtiven off to the atmosphere hv surface ocean waters across the globe. Because of their relatively low po4 (and hence respiration CO?) contenu cold waters in the northern Atlantic take up far more atmospheric CO? than do their high-phosphate Southern Ocean counterparts. This excess C02 is transported to the Southern Hemisphere by the lower limb of the Atlantic's conveyor circulation. To date* no model has succeeded in duplicating these observations. Hence, the attempts to deconvolve continental sources and sinks are contaminated by the preindusirial ocean source and sink pattern.